We have forged a partnership with Cardiff University to improve services for families of children with debilitating brain disorders. The partnership aims to exploit Cardiff’s world-leading research in genetics, psychiatry and brain development in order to revolutionise Third Sector support for children with severe learning and developmental challenges. Funded by a Knowledge Transfer Partnership grant, the project will help position Cerebra as a leader in mental health support for children and young people with brain conditions where co-occurring psychiatric conditions are widespread and often poorly managed. The partnership aims to develop ground-breaking advocacy and procurement initiatives to improve vital early intervention and diagnostic services for children. Carmarthen-based Cerebra works with over 47,000 families, professionals and organisations across the UK with a vision to offer a better life together for every family that includes a child with a brain condition. The charity works across intellectual and developmental disorders (IDDs), giving them a unique perspective within the charity research sector – an approach that allows them to be child and family focussed. They work with families, academics and practitioners to fund research they can share in a way that families can use. Tracy Elliott, Head of Research & Information at Cerebra, said: “From our work with families we know that problems accessing timely and appropriate public services is an issue that impacts on the quality of life of many families. They tell us this when they contact us, and these problems led to the development of our Accessing Public Services Toolkit. The KTP will transform the value of information given to parents to make informed choices for their children and promote evidence-based interventions. The partnership’s mental health and developmental disorders research team is based at the MRC Centre for Neuropsychiatric Genetic and Genomics at Cardiff University School of Medicine. 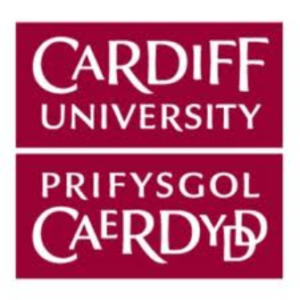 Dr Jane Lynch at Cardiff Business School will provide procurement and engagement expertise. Welsh Government and Innovate UK will grant fund the Knowledge Transfer Partnership (KTP), a scheme that sees a university graduate (Associate) apply academic expertise to help an external organisation. Recruitment for a Mental Health Research & Development Associate – Children with Developmental Disorders, who will manage the project, is now underway. Applications for a Postgraduate in psychology or related disciplines are sought, who are passionate about meeting the needs of families of children who have learning disabilities and rare developmental disorders. The role holder will have a good appreciation of the principles of effective multi-agency support, good data analysis skills, and will be able to work both independently and with a range of different teams and organisations effectively.